He is wanted internationally for arrest and extradition to Ukraine. Mykola Chaus, a judge of Kyiv's Dniprovskyy district court, has been put on an international wanted list, the National Anticorruption Bureau has said on its website. "According to the Interpol General Secretariat files, Dniprovskyy district court judge Chaus has been wanted internationally for arrest and further extradition to Ukraine since 11 November 2016," the statement reads. He is suspected of accepting an offer or promise of illegitimate advantage to an official. In particular, he is suspected of accepting a bribe of 150,000 dollars in August 2016 from a 74-year-old woman who sold narcotic substances. He put money in glass jars one of which he had managed to bury before he was detained. 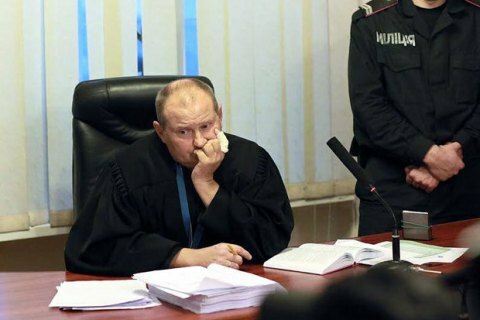 He was not arrested because judges are immune in Ukraine. He fled away to Crimea occupied by Russia. On 6 September, his immunity was lifted and several days later he was put on a wanted list.